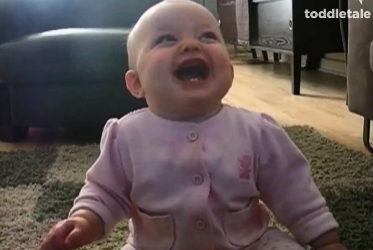 This baby girl laughing hysterically as her dog eats popcorn is just adorable! Her expressions during the short video like this pictured here are PRICELESS. What an adorable little girl, and I was even laughing at the dog. It’s little videos like this that make me feel happy when I’m feeling down. Thanks for sharing this.